Tobacco Use: You must certify whether you or your covered dependents use tobacco or not. During the 2019 open enrollment period, you must certify your status as a tobacco user or non-user, as well as the status of any dependents (age 18+) enrolled in your University System of Georgia (USG) healthcare plan. Effective Jan. 1, 2019, employees enrolled in the USG healthcare plans and their covered dependents (age 18+) will be charged a $75 per tobacco user per month surcharge for using tobacco products. No refunds will be given. The term tobacco products refers to any tobacco product including cigarettes, cigars, pipes, all forms of smokeless tobacco, clove cigarettes, and any other smoking devices that use tobacco such as hookahs, or simulate the use of tobacco, such as electronic cigarettes. During the 2019 open enrollment period, if you enroll or continue enrollment in a USG medical plan, you must certify that you nor your dependents are tobacco users otherwise each will default to a tobacco user and a $75 monthly surcharge will be added to your monthly premium. Additionally, the status of any covered dependents (age 18+) will also default to a “tobacco user” and an additional $75 surcharge on your monthly premium will apply per enrolled person. No refunds will be given. When do I need to certify? During the 2019 open enrollment, you must certify between Oct. 29 and Nov. 9. You are required to certify by logging in to your account through the portal at oneusgconnect.usg.edu. On the Benefits Tab, click on “My Benefits” or you can certify by calling the OneUSG Connect - Benefits Call Center at 1-844-587-4236 (1-844-5 USGBEN) during open enrollment. How much will a tobacco user pay? The monthly tobacco user surcharge is $75 per enrolled dependent (age 18+). Each month you will pay between $75—$225 (or more in some cases) in additional tobacco surcharges, depending on how many people are covered by your USG healthcare plan. No refunds will be given. What happens if I default as a tobacco user during open enrollment? During the 2019 open enrollment period, if you enroll or continue enrollment in a USG medical plan, your status will default to a tobacco user and a $75 monthly surcharge will be added to your monthly premium. Additionally, the status of any covered dependents (age 18+) will also default to a “tobacco user” and an additional $75 surcharge on your monthly premium will apply per enrolled person. No refunds will be given. In the “Smith” family, Mr. Smith uses tobacco, but his wife and children age 18+ do not. Mr. Smith certified himself as a tobacco user and certified the rest of his family as non-tobacco users. The Smith family pays a monthly tobacco-user surcharge of $75. In the “Brown” family, Mr. and Mrs. Brown do not use tobacco. Their 19-year-old daughter and 21- year-old son are tobacco users. Mrs. Brown certified herself and her husband as non-tobacco users, and certified both children as tobacco users. The family pays a monthly tobacco-user surcharge of $150. What if I falsely certify my tobacco user status? Please be advised that when you certify your tobacco use, you are attesting that the information is true and correct to the best of your knowledge. USG expects employees to uphold the highest standards of intellectual honesty and integrity in compliance with the USG Ethics policy, and therefore, you should respond honestly in regards to your tobacco use status. If you knowingly and willfully make a false or fraudulent statement to the University System of Georgia regarding your insurance coverage, including your status as a tobacco user, you may be subject to criminal prosecution. Under state law (at O.C.G.A Section 16-10-20), if you are convicted, you shall be punished by a fine of not more than $1,000.00 or by imprisonment for not less than one nor more than five years, or both. How do I get help if I want to quit using tobacco? 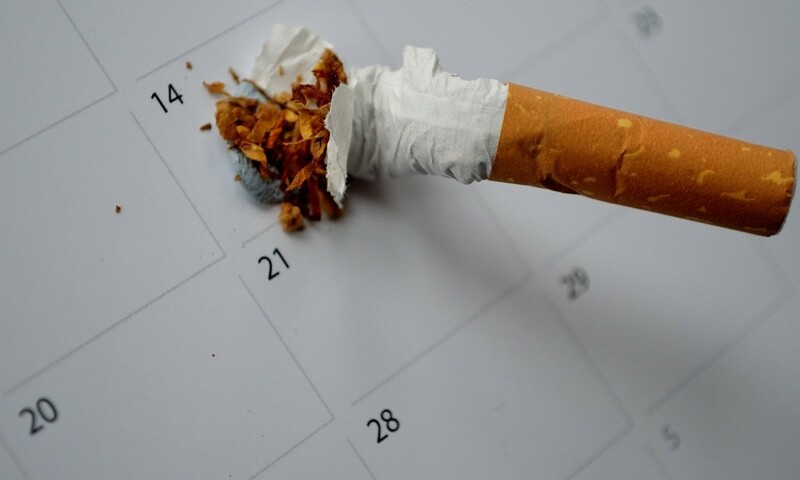 Tobacco cessation programs are available at no cost to you and your dependents. Please contact these helpful resources for more information. Prior to December 31, 2018 - If you complete both, and submit the two documents mentioned above with a positive tobacco user status from open enrollment, the $75 monthly surcharge(s) will not be applied to your monthly premiums as of Jan. 1, 2019. After December 31, 2018 - If you complete and turn in both documents with a positive tobacco user status from open enrollment, you’ll be charged the monthly surcharge(s) until the documents are submitted. At that point, the surcharge will be removed the first of the following month. The online USG Tobacco Use Certification form can be filled out by clicking the button below. If you have questions about the USG online Tobacco Use Certification form, need assistance accommodating the recommendations of your doctor, or have other questions, please contact us at USG-TobaccoFree@usg.edu. What if I quit or someone I cover quits using tobacco products during the year outside of the open enrollment period without completion of a cessation program? If you or your dependent’s tobacco use status changes at any time during the plan year, while you are enrolled in a USG healthcare plan, and you and/or your dependent is tobacco free for three months without completion of a cessation program you will notify USG within 30 days at USG-TobaccoFree@usg.edu. Do our USG healthcare plans cover prescription drugs that can help me quit using tobacco? The University System of Georgia is providing coverage for over-the-counter (OTC) and prescription smoking cessation products. It will include nicotine gum, lozenges and patches that are available as OTC items as well as some prescription products like Chantix and Zyban. This will be covered under the USG healthcare plans at a $0 copay amount for these smoking cessation products. All OTC smoking cessation products must have a prescription written from a physician in order to have the $0 co-pay. Contact your physician to see if any of these items are right for you. What if I start using tobacco products again after certifying as a non-tobacco user? Change your certification status within 30 days of your status change by calling the OneUSG Connect - Benefits Call Center at 1-844-587-4236 (1-844-5 USGBEN) or submitting the USG Tobacco Use Certification form which can be found on the USG Tobacco Free Website. What if I know someone who certified as a non-tobacco user actually uses tobacco? Each employee covered by a USG healthcare plan is responsible for the tobacco use certification. If an employee does not correctly certify their status, the employee is at risk of penalty, fraud investigation or termination. If I’m a new hire that was hired during or after open enrollment, will I or my covered dependents be defaulted? As a benefits eligible new hire, if hired between October and December 31, 2018, you will receive two enrollment events to complete. The first, will be your new hire benefit enrollment event in which you will not be defaulted. However, the second event, will be your open enrollment event in which you and/or your dependents (age 18+) will be defaulted as tobacco users if no action is taken on this event. You must act on your second event within the twoweek timeframe allowed after your new hire event closes. I am a new employee, hired on or after Jan. 1, 2019, will I be defaulted to a tobacco user if I choose a USG healthcare plan? As a new employee in 2019, you and your dependents will not be defaulted as tobacco users. However, you are expected to accurately certify whether or not you and your dependents (age 18+) are tobacco users. What if I am a new employee hired in 2019 and a tobacco user? What are my options to quit and have the surcharge removed? Each employee is expected to accurately certify his or her tobacco status. If you or your dependents (18+) are tobacco users, certify accordingly. If you are a tobacco user that intends to complete one of the above tobacco cessation programs to quit the use of tobacco, you are required to submit the USG Online Tobacco Use Certification Form within 30 days of your hire date in order to have the surcharge waived while you’re enrolled in a cessation program. Once you complete the tobacco cessation program, within three months of your hire date, you must submit the USG Online Tobacco Use Certification Form with the Cessation certificate of completion, in order for the $75 monthly surcharge to not be applied to your monthly premiums as of your benefiteffective date. If you do not complete the USG Online Tobacco Form and/or submit the certificate of completion, the $75 monthly surcharge will be applied to your monthly premium on the first of the following month.